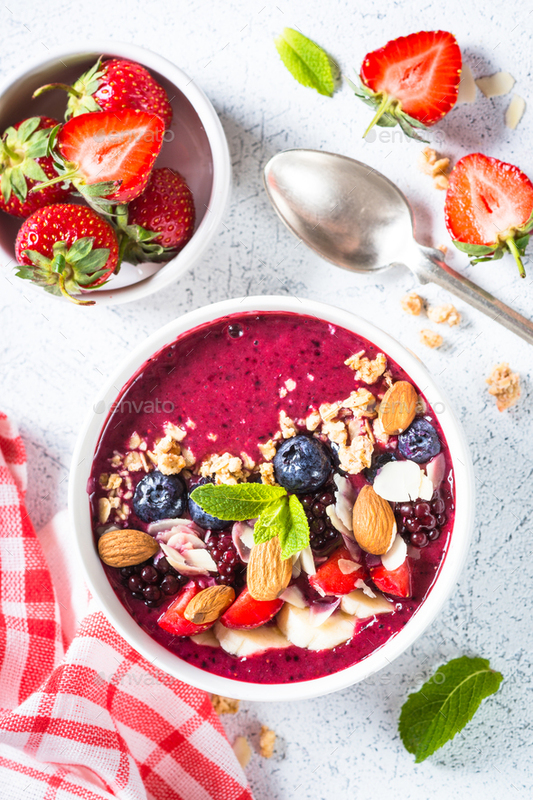 Smoothie bowl with fresh berries, nuts and granola. Top view on white background. Healthy snack or breakfast.